Raise your hand if you have a ball of twine in a kitchen drawer. Most of us do, and most of us don't give it a second thought. While useful, twine is fairly boring. Until today. Dover Hill Studio's new Divine Twine collection turns this handy rope product into a thing of beauty. 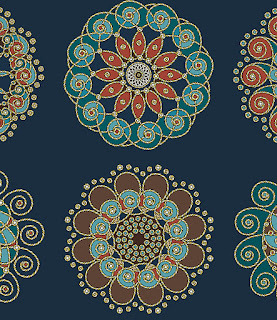 Twine outlines flowers, medallions, paisleys, swirls, and more in this rich, masculine-colored collection. Who knew twine could be so attractive?! 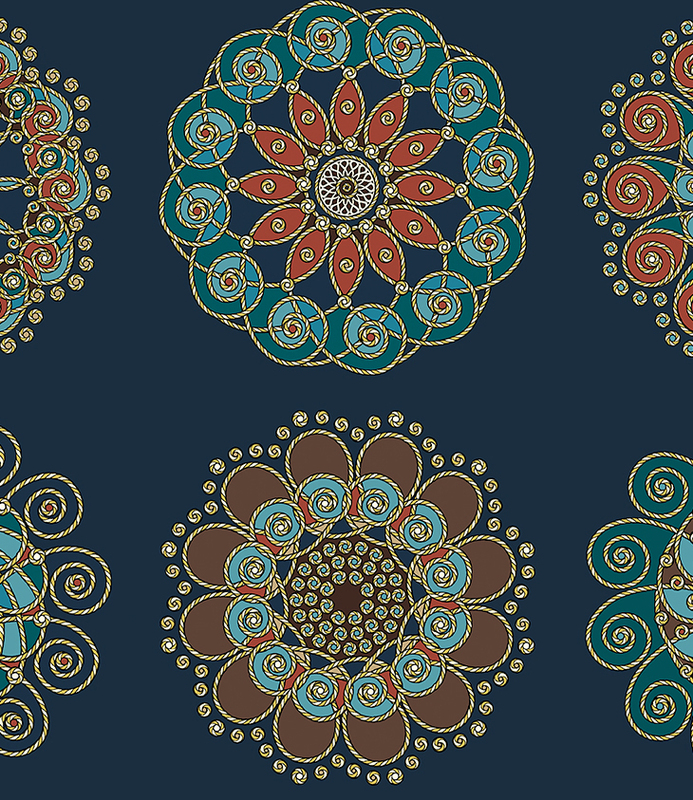 Here's a closer look at the medallion print--these medallions can be fussy-cut into 6-1/2" squares--perfect for adding intricate detail to a quilt block. 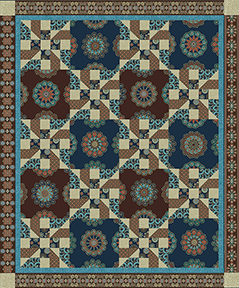 Divine Twine has two free quilt patterns. The first pairs the prints with coordinating Burlap colors to create a quilt made of contrasting shades. The second uses fussy-cut medallion blocks alternating with a secondary pieced block with a nautical feel. Click here to see the entire Divine Twine collection and download the free quilt patterns. p.s. If you haven't seen our new Modern by the Yard e-zine, read more about it and download it here. p.p.s. Next week we'll be starting our annual March Madness quilt bracket! 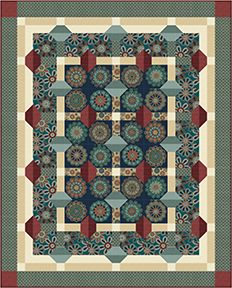 Be sure to stop by and nominate your favorite free quilt pattern from our website. Have a lovely weekend I am delighted to have found your blog. Your newest follower and blogging sister. 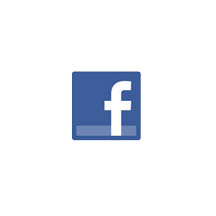 Come on over and think about following me back. Gorgeous fabrics. 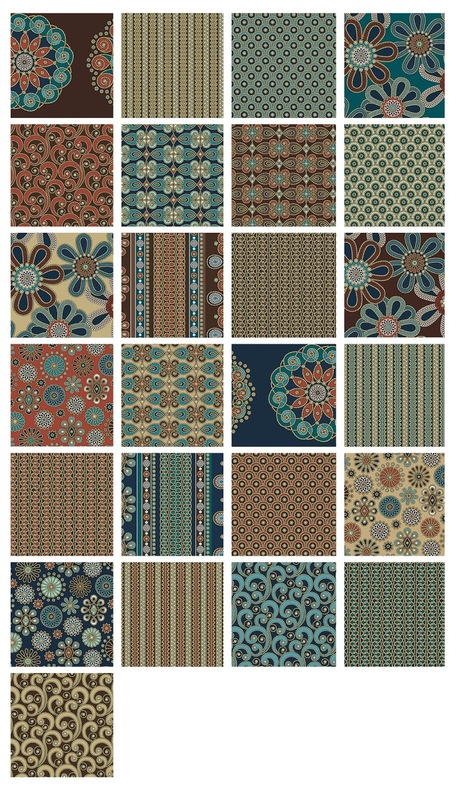 I'm certainly going to track this fabric line down in my local quilt shops, as well as favorite online shops. And I love the free pattern designs for this collection too. Of course, I'm looking forward to your March Madness quilt bracket. Quite fun last year. I do have twine in my kitchen and elsewhere, even baling twine in my garden stuff. Love the fabric. Keep it coming.